You’ve heard about “going the second mile.” In His “Sermon on the Mount” in Galilee Jesus said (in a context forbidding retaliation for evil), “And whoever compels you to go one mile, go with him two” (Matt. 5:41). In New Testament times a Roman soldier could compel a Jewish citizen (or others) to carry burdens for them. They were authorized by the Roman government to press civilians into service of this nature; such would have to carry the load for the distance of one mile, but no further. But how would you know when the mile was up? 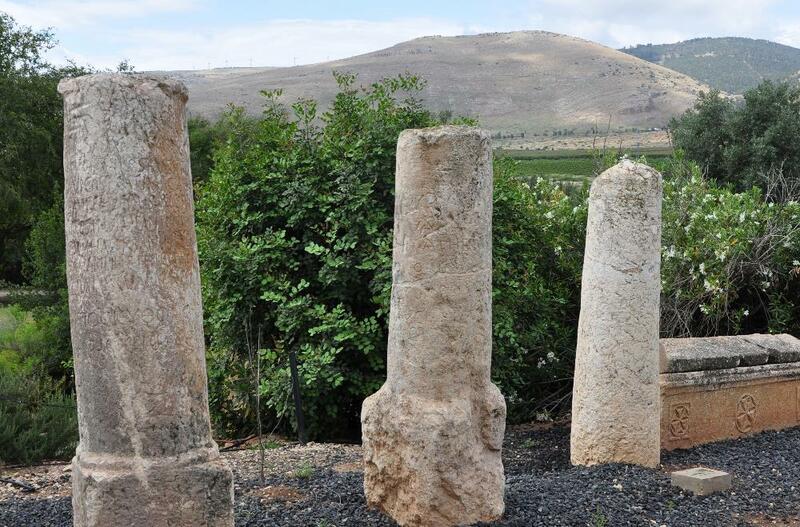 Conveniently, Roman roads had mile markers, such as these below, collected from the Beth Shan area. Milestones from the Beth Shan area, at Gan Hashlosha National Park. Photo by Leon Mauldin. Jesus tells His disciples that instead of complaining about an oppressive government, or bemoaning their victimization, they were to go an extra mile. You see, Jesus’ disciples are different; in the world, but not of the world. Who knows but that from time to time this kind of unusual conduct would cause that soldier to ask, “What makes you different; what do you have that I don’t have?” If so then as Peter said, “But sanctify the Lord God in your hearts, and always be ready to give a defense to everyone who asks you a reason for the hope that is in you, with meekness and fear; having a good conscience, that when they defame you as evildoers, those who revile your good conduct in Christ may be ashamed” (1 Pet. 3:15,16). I’ve previously written on milestones here. Frequently the Bible will have “summary statements,” such as is found regarding Jesus’ Galilean Ministry: ” Jesus withdrew to the sea with His disciples; and a great multitude from Galilee followed; and also from Judea, and from Jerusalem, and from Idumea, and beyond the Jordan, and the vicinity of Tyre and Sidon, a great number of people heard of all that He was doing and came to Him” (Mark 3:7-8, NASB). 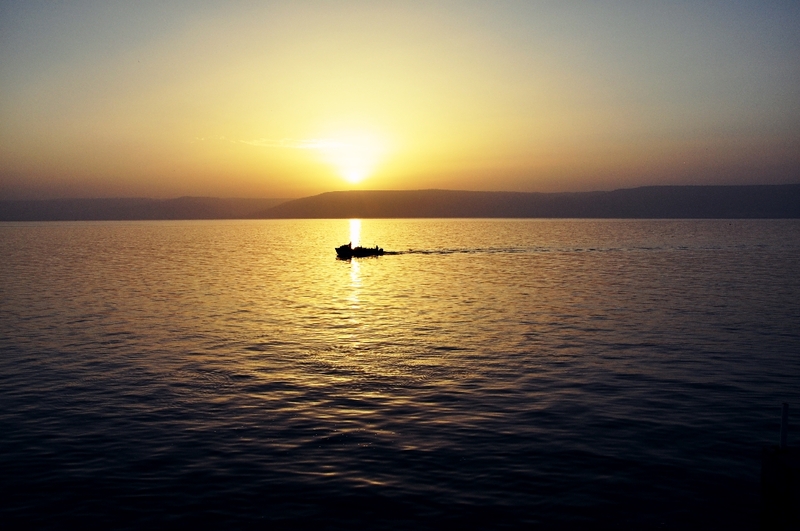 Sunrise at the Sea of Galilee. Photo ©Leon Mauldin. I labeled this blank map to show all the sites mentioned in these two verses. Map, areas mentioned in Mark 3:7-8. Blank map by Bob Waldron & Scott Richardson. 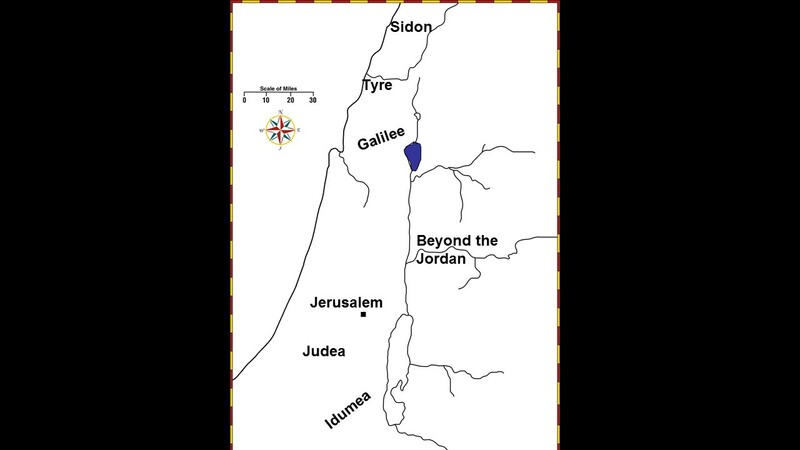 The text is saying that people from all of these areas came to hear and see Jesus when He “withdrew to the sea.” Mark records the above portion of Jesus’ ministry immediately before he narrates Jesus’ selection and appointment of the twelve apostles. In the 1 Kings narrative of the prophet Elijah and his dealings with wicked Ahab & Jezebel, YHWH proved dramatically on Mt. Carmel that He was the true God, answering Elijah’s prayer by sending fire on the mountain to devour the sacrifice. The Baal prophets who were present were destroyed. The 3 1/2 year drought ended, showing God, not Baal, controlled the rain (1 Kings 18). While one might expect that this would be a real turning point for the spiritual condition of Israel, such was not the case. Jezebel’s response: “Then Jezebel sent a messenger to Elijah, saying, “So may the gods do to me and even more, if I do not make your life as the life of one of them by tomorrow about this time” (19:2). Elijah then had a very real struggle with fear and depression. His response: “And he was afraid and arose and ran for his life and came to Beersheba, which belongs to Judah, and left his servant there. But he himself went a day’s journey into the wilderness, and came and sat down under a juniper tree; and he requested for himself that he might die, and said, ‘It is enough; now, O LORD, take my life, for I am not better than my fathers'” (19:3-4). Beersheba is located in the Negeb, the south of Israel. 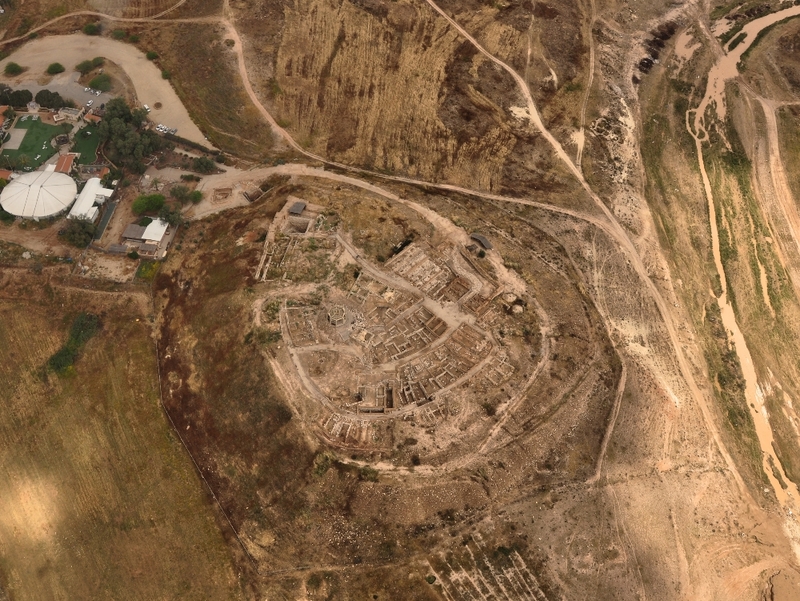 Last month I had opportunity to take some aerial photos of Beersheba. Aerial photo of Beersheba. Photo by Leon Mauldin. 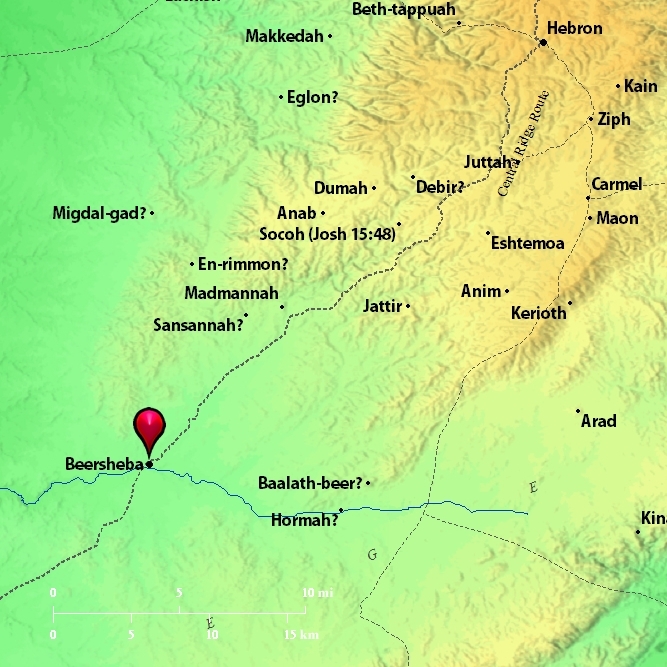 We have previously posted on Beersheba here here here and here. You are currently browsing the Leon's Message Board blog archives for May, 2016.